​The Hilda Davis Scholarship Fund was started by her family in 2017 to help commemorate Hilda’s effort in educating and guiding family and children. 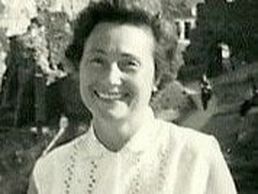 Hilda grew up in London, England during World War II in a working-class family and was married to her husband Edward for 66 years until her death in 2012. Hilda worked hard to improve her surroundings and help her family better their surroundings. Hilda led her life based on Christian principles, and felt it was important to pass these on to her children, grandchildren and great grandchildren. Hilda spent hours teaching the children: she put family above all things and believed that children should be given every opportunity to improve their lives through a good education. The $2,500 scholarship will be awarded to students entering their first-year of college or vocational school. Award winners can reapply in subsequent years. Applicants must reside in the greater Londonderry area* and should be active in a Christian community through participation in church, a Christian education program, Christian based mission work, or a Christian Youth Group. A letter of recommendation from a minister, Christian educator or Youth Group Director is required. Applicants will also be asked to write an essay on how Christian principles or the teachings of Jesus Christ have played a role in their lives. *Residence in the greater Londonderry area is defined as the towns of Londonderry, South Londonderry, Andover, Bondville, Chester, Grafton, Jamaica, Landgrove, Manchester, Peru, Weston, Winhall and Windham. The Hilda Scholarship fund was started by the Davis family and has since received outside donations.